GhostBlade, Fast-Paced Third-Person Shooter, Indie Game Spotlight - KABALYERO - PLAY, BLOG & EARN! 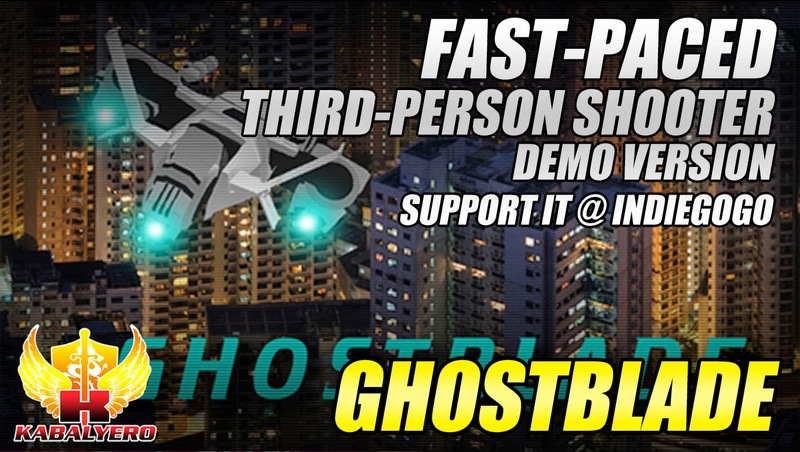 GhostBlade is a third-person shooter inspired by games like Apache Strike, G-Police, Warhawk and others. Unfortunately, I never played any of the games that I mentioned but I do enjoy playing and trying out games and GhostBlade is one of them. I can't remember exactly how I came upon this game but I'm glad I did because, now, I can tell you guys about it. Basically, GhostBlade is a third-person shooter. I can't say if it's a space shooter because the demo that I played wasn't in space but it's definitely set in the future. The demo of GhostBlade is somewhat playable but it's not yet a game. I did get to fly around the play area and shoot insect like creatures. My ship did blow up a lot but that's because I'm a bad pilot and a bad aim. I did enjoy it though specially the part where I flew outside the play area. Anyway guys, GhostBlade is currently in development and it's running a funding campaign at Indiegogo. Check it out, read the information about the game, watch videos, download and play the demo. If it's something that you would want to play then why not support it financially. The link to GhostBlade's Indiegogo page is in the description of the video below or simply click here.